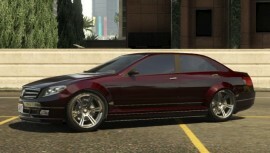 The Benefactor Schafter is a luxury four-door sedan featured in GTA IV and GTA V, and GTA Online. 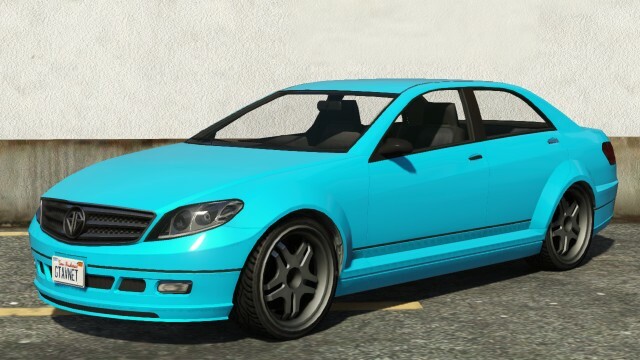 In GTA V, the Benefactor Schafter has a more modernized appearance, with a general design based on a Mercedes-Benz E-Class W212. Adding to the more modern appearance is the presence of LED strips below the two bi-xenon bulbs in the headlights, and LED taillights. 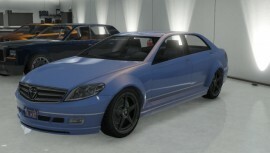 the front heavily resembles the Mercedes-Benz CL-Class C216. Top speed is good at 246 km/h. The car handling is above average, although a slight hint of oversteer is detectable, the Benefactor Schafter‘s firm suspension makes it a pleasure in low-speed cornering. The suspension is a perfect balance of firm and soft, keeping the Benefactor Schafter planted on the road in turns, while not jarring over bumps. Braking is fair, and ABS is available, though not standard. Crash deformation and engine build quality are excellent. the Schafter is capable of sustaining multiple direct impacts, and can also take a fair amount of gunfire before the engine stalls or inflames. 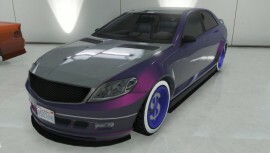 The Benefactor Schafter in GTA 5 is powered by a V6 Engine and shares the similar engine sound with the Sentinel, Sentinel XS, Tailgater, Surano, and Gresley. Mostly based on a E350 BlueEfficiency variant due to it’s V6 engine noise which revs up 6800 rpm similar to the Mercedes-Benz M276 E35 V6 petrol engine in the E350 also revs until 6800 rpm. Its performance is good, making it a competitive vehicle compared to the other sedans. 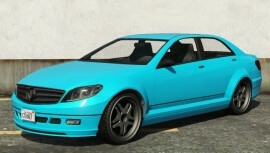 The Schafter has a coupe variant known as the Schwartzer, which is seen in GTA 5. The Schwartzer is also manufactured by Benefactor. 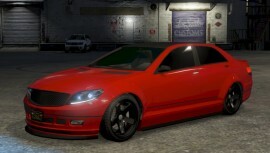 In GTA 5, The slightly less luxurious version of the Benefactor Schafter can be recreated almost completely at Los Santos Customs, with the only differences being the lack of a Benefactor badge on the grille and notches not being present on the custom rims. Hood, Skirts, Bumpers, Grille, Roof, Spoiler, Turbo, Exhaust. 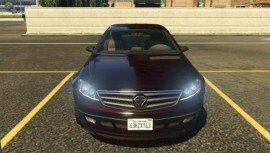 The Benefactor Schafter parked in the golf course parking lot. 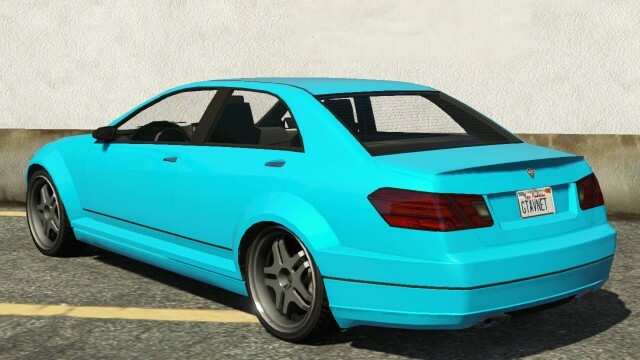 In GTA Online, Benefactor Schafter sells for $6,500 in Los Santos Customs.